I dropped the ball this year and didn't get out Christmas cards, tears. I think it is my first year not sending them in a long time ... maybe I will send sweet valentines? Here are a few Christmas greetings from some pretty cool cats that I wanted to share with you, aren't they awesome?! 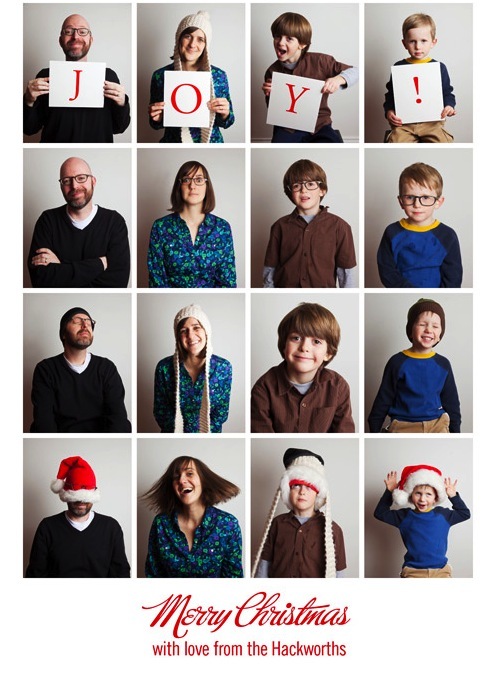 Check out Justin + the Hackworth family's card above! I'm gaga over Allyson from Unruly Things illustration! So cute. Suann from Simple Song said she created this card last minute, wow! I love the milestone annual report, a lovely way to update your friends and family. Have you seen any clever ones around? Did you get cards out this year? Oh I adore the last one on the library record card! So much better than those ridiculous newsletters people send out. the milestone annual report is so clever. much better than the snooze of a letter my family has been sending for years! Yes our family is one of those who receives mountains of family 'newsletters' each year. 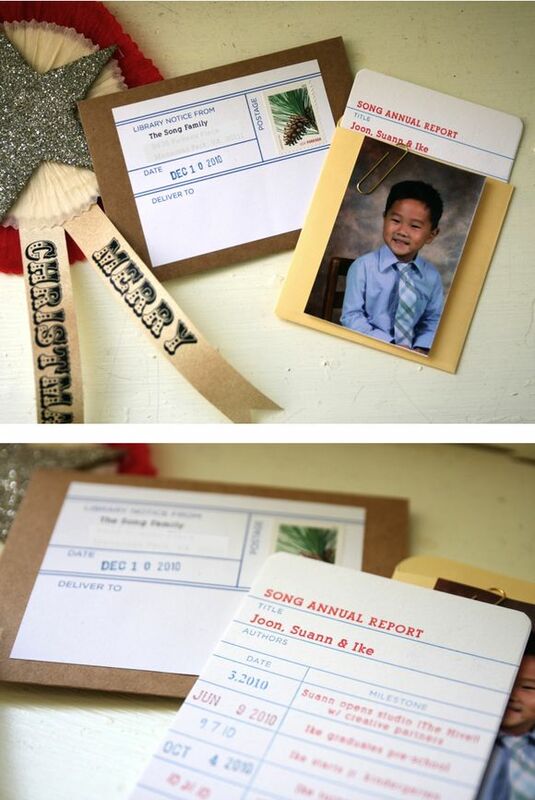 So I love the report card idea too, so very creative and fun for the holiday season! great ideas! love #1... fun & totally DIY-able! I love all of those! Especially the last one. So creative!! I'm liking this very much! The annual report card is awesome! Dropped the ball big time this year, and didn't get cards out. I love the one from Simple Song....so creative and cool. 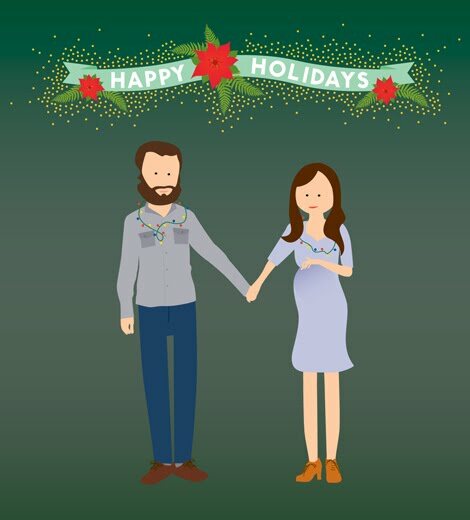 We had every intention of sending out cards this year, but things just got too busy. LOVE #1, so fun and creative!